EngageMedia is an innovative new media NGO focusing on social and environmental issues in the Asia-Pacific. Its latest video-series Crossroads is a video advocacy initiative in partnership with MalaysiaKini's Citizen Journalists Malaysia, aimed at strengthening the advocacy and documentation capacity of migrant workers, refugees, and stateless persons as well as their support organizations. 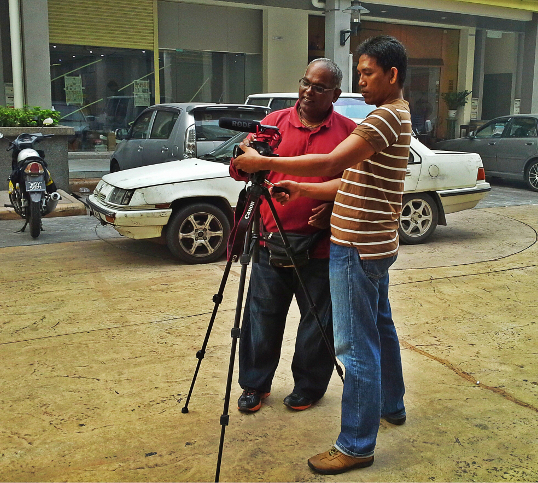 Through workshops held across Malaysia, Crossroads teaches migrant rights activists video production and distribution skills in order to share the stories of those who chose or have been forced to leave their homes. 12 videos of migrants workers, refugees and stateless people in Malaysia telling their stories. The videos are organised in five chapters according to the theme of migration they touch upon. A Study Guide designed to give context to these videos for use in educational and advocacy purposes. A DVD pack for screening high-quality versions of all 12 videos with English subtitles and a limited edition colour booklet. All videos have been translated and subtitled into English through EngageMedia’s Lingua project. Access the videos, a PDF version of the toolkit, and project updates here.